Japan, surprisingly, is behind the global leaders when it comes to e-commerce and cashless transactions. Now, the government wants to change that by supporting a total Japanese e-commerce system redesign. In Japan, cash-based transactions are the norm. People got into the habit of always keeping their cash wallet close to them to cover their expenses. Japanese businesses also show a clear reluctance to adopt other paying systems like credit and debit cards and electronic solutions. This is in stark contrast to Japan’s image as one of the most digitized countries in the world and where technology is ubiquitous. With most transactions being paid in cash, the country’s extensive ATM infrastructure needs to be constantly maintained. Naturally, this is a very costly business. Every year, the Japanese economy loses about $17.6 billion maintaining a network over 200,000 ATMs. Japan has no other option but to plan a course of action that would move the nation from cash to digital money. While Japanese e-commerce and crypto companies are ramping up their game, authorities are helping along and leveling the playing field through regulations and incentives. With the 2020 Tokyo Olympic Games around the corner, the nation doesn’t want its economy to miss out on a possible Japanese e-commerce bonanza. Cryptocurrency, e-money, and other cashless payment solutions give the public a better alternative to cash. But the creation of an advanced Japanese e-commerce system is of crucial importance for Japan. In April 2018, Japan’s Ministry of Economy, Trade, and Industry released a report that laid out the vision for a cashless Japan. “Given the global trend and the country’s need to fundamentally increase productivity, a system needs to be established where the business, public and academic sectors can all work together to reduce the cost of cash and create new industries to realize a cashless society,” says the report. The Japanese government, which aims to have 40 million tourists by 2020, wants to make 40% of payments “cashless” by 2025. It also announced tax breaks and subsidies to small and mid-sized businesses that adopt e-payment systems, like restaurants and retailers. This could help make 40% of visitors coming to Japan adapt more easily to the country’s cash-dependent system. 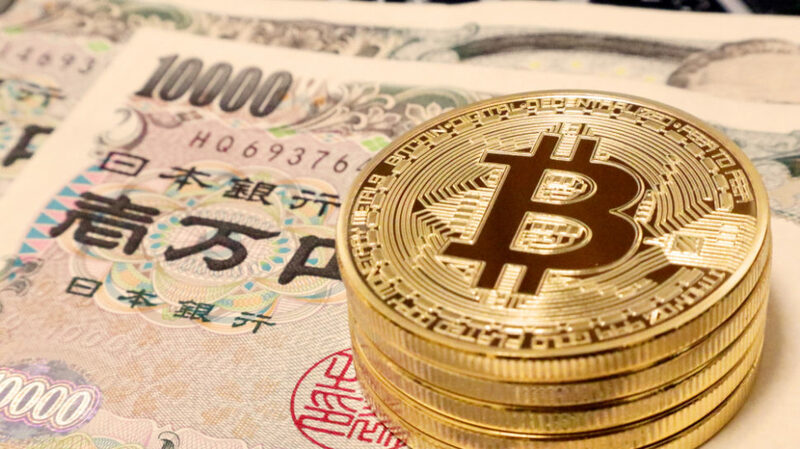 As China stifled its cryptocurrency industry with a series of anti-crypto measures, Japan stepped in as the largest Bitcoin market in the world. To contain the rapid rise of cryptocurrencies, the Japanese authorities have decided it’s better to grant the market a self-regulatory status. Following Japan’s Financial Services Agency’s decision, the Japan Virtual Currency Exchange Association has put in place guidelines for crypto exchanges that must self-regulate to join. The Japanese Mitsubishi UFJ Financial Group (MUFG), one of Japan’s and the world’s largest financial institutions, is launching what could be a game-changing Blockchain project. MUFG has partnered with Akamai Technologies, a U.S. cloud delivery startup, to release a new global blockchain-based payment platform. This online payment network is currently under experimentation in the hope of getting it up and running for the Olympics. Tested “under realistic business conditions”, the platform, as claimed by Akamai, can handle over a million transactions per second, and could eventually reach 10 million TPS. It’s also able to confirm each transaction in no more than two seconds. Even at the low end of one million TPS, the new Blockchain system will be much more powerful than other systems. For example, Visa claims its credit card network is capable of handling as much as 24,000 TPS, although some dispute that number, thinking it may be much lower. The volume of transactions per second the platform can supposedly perform is staggering compared to Bitcoin’s paltry seven TPS, not to mention the long confirmation time for each transaction. MUFG and Akamai’s network, which can handle all kinds of secure payments, is designed to accommodate emerging trends like IoT payment solutions. In the Internet of Things, where everything is connected, customers have a lot of options when it comes to making secure payments, it could be through a wearable they’re sporting or the car they’re driving. In addition to materializing its own vision for a cashless society, Japan could be revolutionizing Blockchain, cryptocurrencies, and e-payment systems all at once. Could a total reliance on an untested e-payment system lead to a potential disaster at the 2020 Olympics?